This Sterling silver ring uses acupressure to help eliminate snoring and work in harmony with your body's bio rhythms. The ring is a natural non-invasive way of getting a great night's sleep for you and your partner, ensuring you awake fresh, invigorated and ready to the day. The ring uses two acupressure points, SI2 & HT9 to help alleviate snoring and increase the natural flow of your body's energy. Depending on whether you are male or female it is recommended that you wear the ring on different hands, women on their left and men on their right. Place the ring gap side facing up on your little finger. Squeeze and release the sides gently but firmly to create a firm but comfortable fit. The Acu-Activators should be located on the outer and inner point's equivalent to 3 & 9 o'clock. 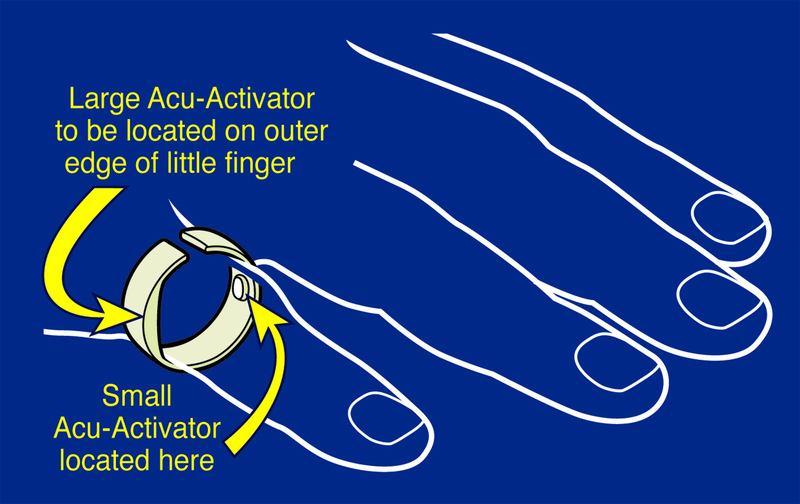 The larger Acu-Activator should be situated on the outside of the finger. For maximum benefit wear the Good Night ring 30 minutes before you go to bed. Don't wear the Good Night ring for more than 12 hours at a time. The Good Night ring is not suitable for people under 18 years of age. It is not suitable for pregnant people or people who suffer from sleep apnea. The rings come in three sizes small, medium and large. Below is a scale to judge which ring would best suit you. The table below is a guide only. can you confirm that your stock in medium is sterling silver as I am allergic to chrome? We can confirm that the Good Night Anti Snoring Ring is made of hallmarked solid sterling silver. The current stock of the Good Night Anti Snoring Ring has no markings of either the 925 or Goodnight. Can you tell me what its made of please thanks. I can confirm that the Good Night Anti Snoring Ring is made of hallmarked solid sterling silver. 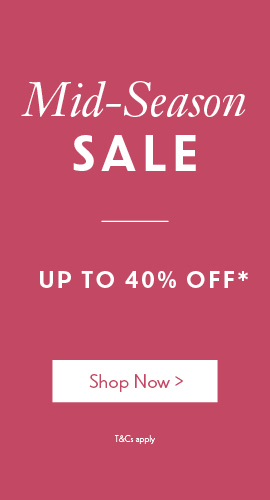 How does this work?and why can you only wear it for 12 hours? 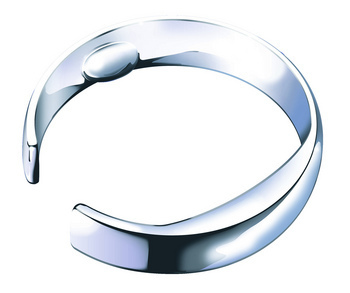 The Good Night Anti-Snoring Ring works by using principles of acupuncture. It applies light pressure on two specific points on your little finger. It is recommended that you wear the ring every night for maximum benefit and to wear it at least 30minutes before sleep. It may take the body 3 or 4 days to acclimatise to the Good Night Anti-Snoring Ring. 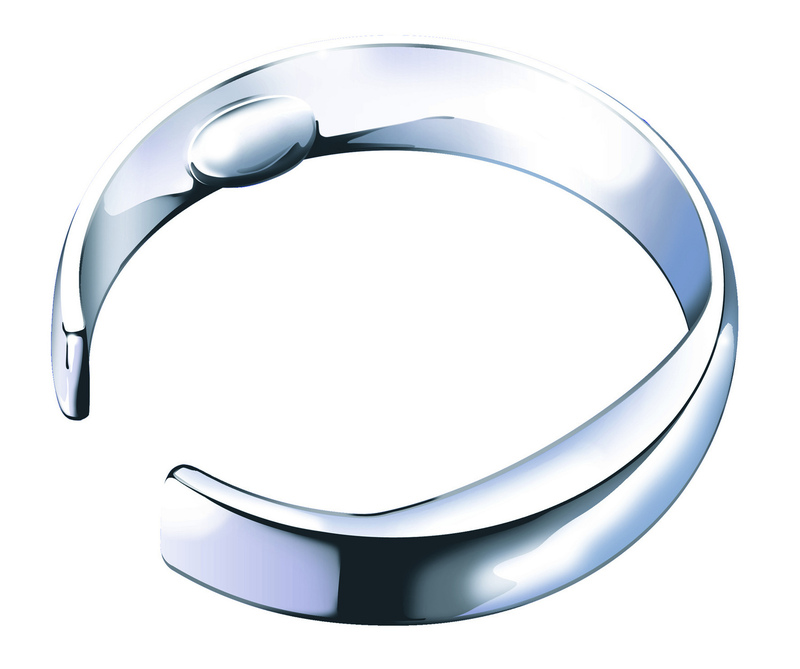 Wearing the Anti-Snoring Ring for more than 12 hours will at a time will nullify the effect of the ring.